The play within a play catches the conscience of the king. HamletThe prince springs his plan into action by having the players perform a version of Claudius’s murder and gauging the new king’s reaction., RosencrantzAfter the play, Hamlet’s (former) friend tells Hamlet that Gertrude, his mother, hopes to speak with him, GuildensternAfter the play, Hamlet’s (former) friend tells Hamlet that Gertrude, his mother, hopes to speak with him, HoratioHamlet’s friend watches Claudius’s reaction to the play and reports back to Hamlet., ClaudiusThe King stops the play before fleeing, thereby seeming to confirm his guilt., GertrudeThe Queen watches the play with Claudius and the rest of the court, occasionally commenting on the action., Player KingThe member of the acting troupe playing the murdered king character., Player QueenThe member of the acting troupe playing the adulterous queen character., PlayersA troupe of performers visiting Elsinore to perform a play for the royal family. Their play, "The Murder of Gonzago," is very similar to the ghost's account of Claudius's murder of Hamlet's father. 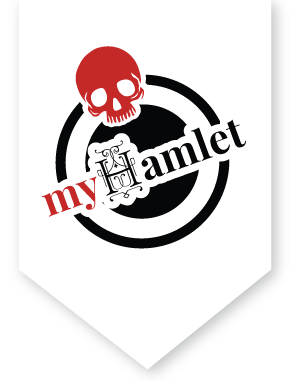 It’s the night of the performance of the play, and Hamlet tasks Horatio with gauging Claudius’s reaction to the murder scene. As the courtiers gather to watch, Hamlet acts mad once more, insulting Ophelia with all kinds of indecent taunts. When the play begins, Hamlet carefully observes Claudius. Sure enough, when the fictional king in the play is murdered in much the same way Hamlet’s father was, Claudius flees, clearly rattled. Hamlet confirms the reaction with Horatio, thrilled that he finally has proof Claudius murdered his father. Rosencrantz and Guildenstern arrive to tell Hamlet that Gertrude wants to see him immediately. As he heads off to see his mother, he vows to be cruel, but to try his best to contain his anger.